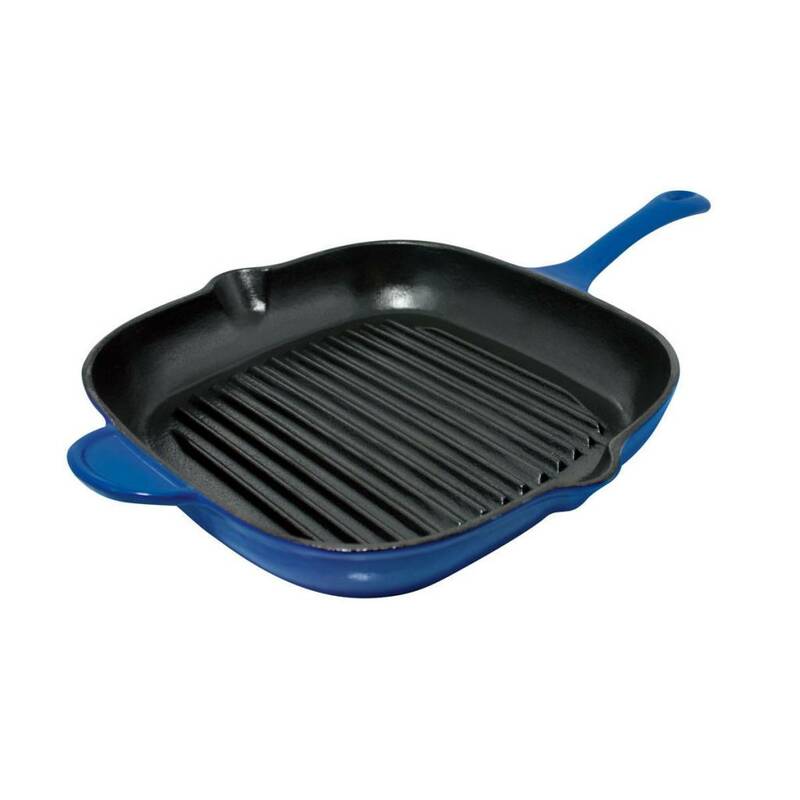 A cast iron grill is perfect for searing fish, steak or vegetables.Le Cuistot enameled cast iron has excellent heat retention and is exceptionally durable and versatile. enameled cast iron excels in the art of searing food. Use and Care : Before first use, wash in warm, soapy water. Rinse well and dry immediately. Do not use abrasives. Do not soak in water. Do not put in the dishwasher. Do not store wet. Do not heat empty pans. Use wooden, nylon or plastic utensils. Always lift the cast iron pans on the stove to prevent scratches.